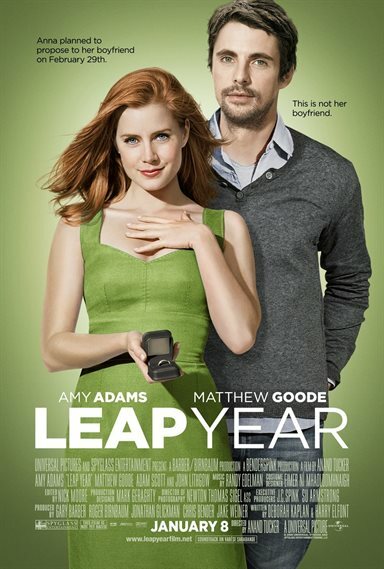 Adams will play an uptight woman who travels to Dublin to propose to her boyfriend on leap day, Feb. 29, following an Irish tradition in which women propose to men on that day and the man has to say yes. When weather derails her trip, she enlists the help of a surly Irish innkeeper to make an unexpected cross-country trek to pull off the perfect proposal in time. Download Leap Year in Digital HD from the iTunes store. Leap Year images are © Universal Pictures. All Rights Reserved. Leap Year images © Universal Pictures. All Rights Reserved.